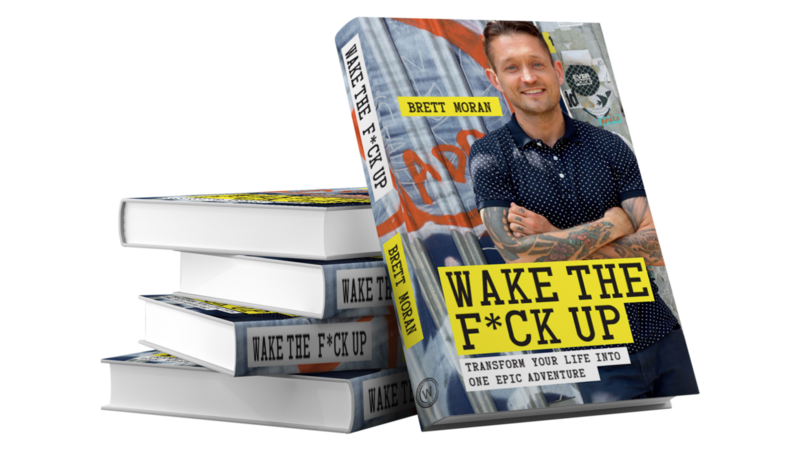 This App is completely free because you purchased the new book Wake The F#ck Up. In this online course Brett will be sharing guided visualisations, mediations and yoga vids so you can take control of your mind and re-connect to your body as you continue the great work you’ve been doing. This free App really will help you ignite your inner buzz and hunger for adventure as you go on to create your own path in life and literally transform your destiny! Wake The F#ck Up Online App! This app is free when you purchase a copy of my new book Wake The F#ck Up! The app is jam-packed with guided meditations, visualisations, yoga videos and training that relates to each chapter of the book. It will help you take control of your mind and eliminate negative thinking so you can create an epic vision for your future. Plsu show you how to reconnect to more joy and bliss in your day-to-day life. You can download the MP3s and stick the meditations on your phone, watch the yoga videos and practice with Brett in the comfort of your own home, and really bring the book alive by watching the training modules and taking more notes. Enjoy, your energy is about to shoot through the roof and life is about to get even more EPIC!